Focus of the lesson for the BSC / MSC is the comprehensive and thorough training in all branches of chemistry. As part of the unity of teaching and research specialization is in deepening and elective courses and integration of students in research areas of chemistry. For prospective teachers a solid and balanced basic training takes place in the core subjects and in selected specialized fields that are of relevance for school. The reference is particularly practical school in the didactic education through close integration of theory and practice to bear. Theoretical Chemistry / Computational Chemistry. very good practical teacher training candidates. modular course structure by consistent credit point system for all courses (in preparation). Molecular interactions, their theoretical description and spectroscopic investigation. Laser spectroscopy with high time resolution. 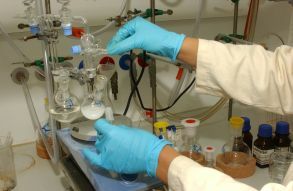 What are the reasons for it else, the University of Potsdam to study chemistry at? high recreational value in Potsdam cultural landscape. The research groups maintain strong partnerships with companies and practice facilities, including: Network of Expertise in optical technologies (Optec Berlin-Brandenburg), as part of the Science Park Golm (under construction). Intensive care and placement of work experience in technology transfer agency (PITT), EU grants for industrial research (Marie Curie Industry Host Program). 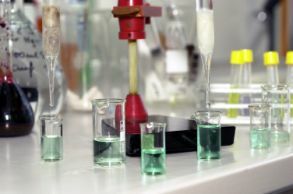 The Working Group Chemistry Education cooperates with many schools in the state of Brandenburg, so that for example developed didactic-methodological approaches together, tested and applied in teaching and school chooses. In preparation for the profession to use the students work placements in the chemical industry. Prospective teachers complete a four-week teaching internship. Our event series "University meets industry '.